This morning, Bonnie, Hilda, Joe, my cousin Toño, and I all went running at “El Parque Tangamanga” which is a huge park in the city center. We ran an easy 6K and nobody died. After getting cleaned up, Bonnie, Tony, Joe and I walked from my cousin Armando’s house where we are staying to my Tia Berta’s house (where Hilda and my folks are staying), which is approximately half a block away. You see, though my cousin’s have become very successful professionals (Automotive Engineers, Civil Engineers, Transit Engineers, Dentists, Network Admins, and Small Business Owners), they all still live within two blocks of their mother’s house. Though this is very different from the way my family has gone about things, I can truly appreciate how great it would be to see my parents and siblings at least once a week! 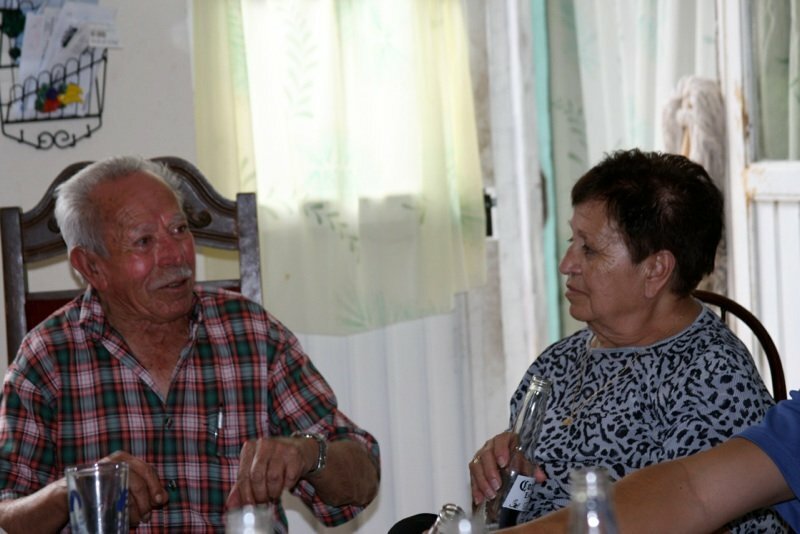 So, we had some breakfast (which happens around 10am hear, lunch at around 3-4pm, and dinner around 9pm or so) and then headed over to my Tio (uncle) Chuy’s house for an afternoon visit… (My Mom and my Tio are pictured above.) Then it was off to my Tio Salvador’s house for another quick stop before returning to my Tia Berta’s for dinner. With so many of us traveling together (Mom, Dad, Joe, Tony, Ara, Bob [brother-in-law], Noel, Patricia [sister-in-law], Maya [niece], Benjamin [nephew], Hilda, Bonnie, and I), any time there is food it is like a party! Especially since I didn’t list any of my cousins and their families who we are here visiting! All in, it was a great first day to this wonderful trip.